Children There is 1 product. What a perfect companion to that special little one. 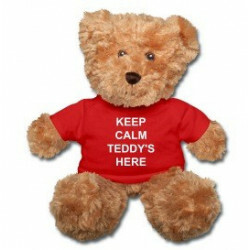 Their very own teddy to cuddle and keep calm with. Available with black shirt or red shirt.